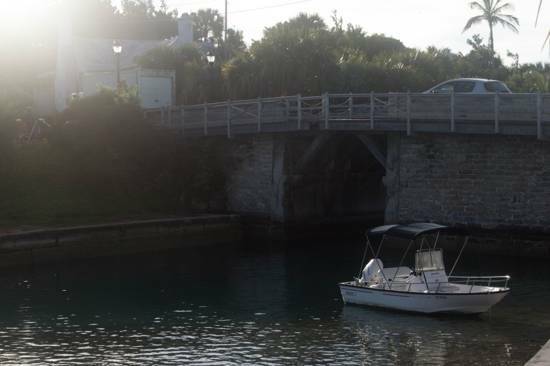 Somerset Bridge is located at the western part of Bermuda in Sandys parish. It actually connects the main island with Somerset island. This is the world's smallest drawbridge. Which means that it opens up from the middle allowing the ships to pass by. Actually, the bridge is so narrow and water here is so shallow, cruise ships can't reach this point. Only sail boats pass through it. This narrow strip of water is used mainly for boat tours these days. Somerset bridge was originally constructed way back in 1620. In those days, whenever a small ship required to pass through, the bridge used to be opened using a manual crankshaft. In 20th century, Somerset bridge went through some major renovation, but much of it's basic constructs have been retained even now. Presently the bridge has cantilever based two half spans. An 18-inch wide timber is placed between the spans to bridge the gap between the two. You can clearly see the timber piece in the picture below. Whenever a sail boat is required to go under the bridge, this timber piece is only removed to allow just the mast of the boat to pass through. Take a bus (#7 or 8 operating between Hamilton and Dockyard), get off at Somerset Bridge stop and come up to the bridge. There are narrow wooden sidewalks on both sides of the bridge. Walk up to the middle of the bridge to see the timber plate for yourself. And then look out to get the wonderful views around, particularly the Ely's harbor with many boats and the old Bermudian cottages near by. Walk down to the eastern end of the bridge (main island), you will see a small building with a car park at the back side. From the car park a stairway leads down to a beautiful parkland below by the water channel. There are picnic benches here where you can sit and relax, and see through the lower part of the bridge and out into Ely's harbor. NOTE: Somerset Bridge is part of Railway Trail. 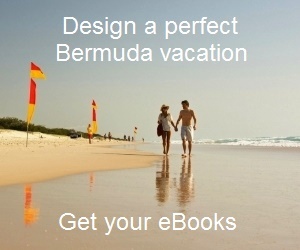 Check out Bermuda Tourist Map to view the location and nearby attractions. Bus Route: #7, 8 (both operating between Dockyard and Hamilton City). Takes only about 15 minutes from dockyard by bus and about 35-40 minutes from Hamilton City. 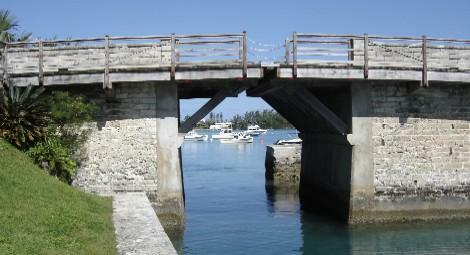 1) Check out Bermuda Must See Places to know about the top places to visit in Bermuda.